I also remember little or anything about it. I grew up on the TV show and am watching a Me-TV rerun as I post this. It was better. It simply was. There was greater chemistry between the agents and it relied less on violence and more on cheeky charm. The movie does have exceptional production values and a few plot twists I didn't see coming. But it doesn't have these two. The movie Illya is a damaged soul with a scary temper. 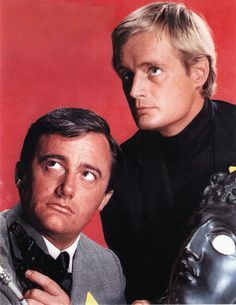 David McCallum's Illya is a geek who, while capable of great athleticism, would rather use his head than his hands. While both the movie and TV Napoleons share their love of a good woman and a fine suit, Robert Vaughn's is more optimistic about his ability to get out of whatever dilemma he may be facing at the moment, and the fate of the world at large. So save your money and watch the reruns. *The women's wardrobe is distracting, though. 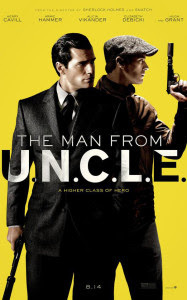 The movie is unwisely set in mid-1963, as established by the speech JFK is shown delivering. The women are all shown wearing Carnaby Street/Twiggy style threads, which didn't come into vogue until 1967. (If there's an era I know cold it's the 60s.) Which isn't to say I didn't love seeing all those big beautiful sunglasses and swinging, dangling earrings. They just weren't appropriate. Today's Happy Cone goes to creamed spinach. Because I really like creamed spinach. Yes, I realize it's high in saturated fat. But it's also rich in calcium, fiber and Vitamin C. And it's yummy. I'm trying to eat better, and while salad often feels like punishment, creamed spinach is always a reward. I want Joe Biden to run for President ... again. In 1988, when he ran, he was my second choice. In 2008, he was my second choice. But today, he is my first choice. Wouldn't be ironic if now is when he didn't run? When he talks, I hear him. When Hillary talks, I shut off. Where he sounds sincere, she sounds programmed. He's proven himself, more than once during the Obama Administration, to be the compromiser who understands how things get done in Congress. And we need to see things done. He understands the mess in the Middle East (he was so right about Iraq). He appreciates the need to improve our national infrastructure (in ways Obama hasn't demonstrated he does). 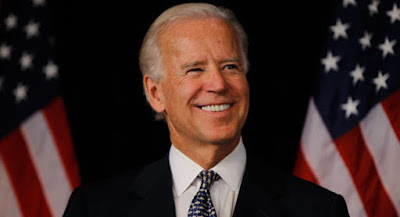 Obama himself has said that choosing Joe as his Veep was the smartest move he's ever made in public life. I take that as a tacit endorsement, one that any Dem not named Clinton will need to earn cred with voters of color. While I don't think African American and Hispanic voters will vote in large numbers for the Republican candidate, I also don't think they will ever come out for Bernie Sanders. I can see Joe Biden saying he's running for a single term, and meaning it. I hope he will do it.